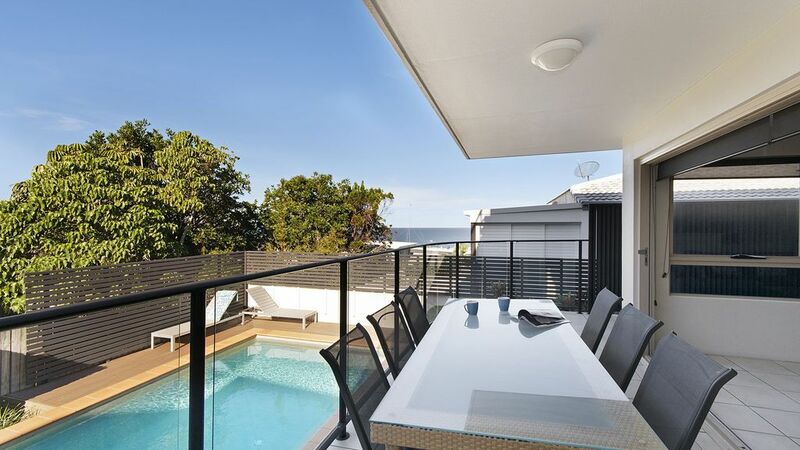 Holiday in the heart of Sunshine Beach in comfort. Being one of only two, this stylish lower-level townhouse is an ideal escape to unwind. Offering fully ducted reverse cycle air conditioning with two bedrooms, two bathrooms (the main with a spa bath) and spacious open plan living area this tasteful, modern property offers quality materials and inclusions throughout. The master bedroom boasts an ensuite with double basins, plenty of wardrobe space and queen size bed whilst the second bedroom features 2 single beds. Enjoy all that the Sunshine Beach life style has to offer with a few minutes walk to the patrolled beach, surf club, restaurants and cafes. Sunshine Beach enjoys a vibrant village lifestyle, relaxed yet it is an effervescent social hub with an array of excellent restaurants, bars and cafes. The local surf club is the perfect spot to catch a game or watch the whales pass, and there is live music on Sundays. Just about everything is catered for in Sunshine Beach with hairdressers, convenience store, bakery, bottle shops and more. The Noosa Region offers charming hinterland townships, coastal strips with pristine beaches and waterways, stunning rainforests, natural bushlands and wildlife reserves. Sunshine Beach is centrally located, is only a 5 minute drive from Noosa Heads Hastings Street, 3 minutes from the shopping precinct of Noosa Junction and just 20-25 minutes from both the famous Eumundi Markets and the Sunshine Coast Airport.